Lifelong friends, Jim and Joe are the co-owners and co-founders of Automart. 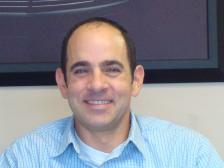 For the last 24 years they have enjoyed developing and growing Automart into the successful business it is today. We take a lot of pride in the highly skilled staff we have at our dealership now. Without a doubt this is the best team we have assembled. Our sales and service departments utilize the latest technologies to deliver the best customer experience possible. From vehicle diagnostics to user friendly website technologies, we strive to make doing business here a pleasure. Lifelong friends, Jim and Joe are the co-owners and co-founders of Automart. 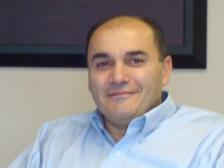 For the last 24 years they have enjoyed developing and growing Automart into the successful business it is today. With an eye for quality, Joe is the buyer for the dealership and takes great care to make sure the vehicles we are offering are the best he can find. We take a lot of pride in the highly skilled staff we have at our dealership now. Without a doubt this is the best team we have assembled. Our sales and service departments utilize the latest technologies to deliver the best customer experience possible. From vehicle diagnostics to user friendly website technologies, we strive to make doing business here a pleasure. 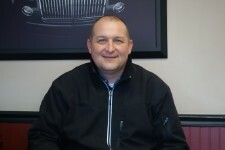 Peter has been with Automart for 10 years and has 25 years of automotive sales experience, Peter has the knowledge and know how to help you with your needs. He has an honest and straight forward approach and highly values the friendships he has developed over the years with many of his customers. Peter is a life long resident in the area with his wife and two children. We welcome Chris Normyle as a member of our team. 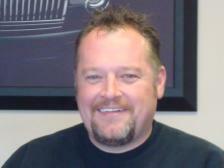 Chris brings 20 years of auto sales and customer service experience with him. A local resident, he is extremely active coaching youth football and local charities. 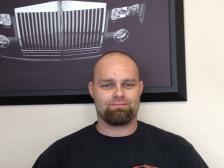 Chris is a highly skilled technician that can handle all your auto service and maintenance needs.